Zorba is a really lovely venue – it’s huge and open-air, and has charming ambient lighting and lots of greens everywhere; grass, bushes, shrubs. You turn around and you can see the elevated metro line, with trains constantly patrolling. Turn around again and you can see the band and the stage, set against the backdrop of a gigantic tree – around 300 feet or so tall. There are multiple levels there; it’s like an amphitheatre but not quite. You can sit on the grass or the cushions they leave there, or you can get yourself one of those round tables and chairs, or even grab a little jute stool (mooda). Despite the size of the venue, it still has an intimate air about it, sort of like a night out with good friends and good music, where you just sort of lie around and inhale the experience. 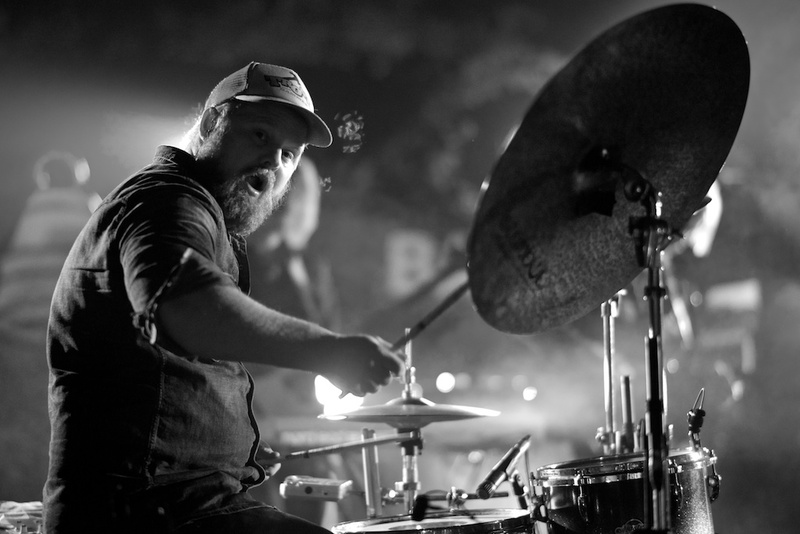 Jaga Jazzist finished their massive set – an hour and forty five minutes – and everyone got up. It was a standing ovation, one of the most sincere ones this writer has witnessed. You see, this wasn’t just a gig; it was so much more than that. It was an exchange of the purity of the music that Jaga Jazzist played with so much heart and integrity and the openness and the very cultivated vulnerability of an audience (most of them, anyway) that felt each note of the evening with searing honesty: Catharsis for some, jubilation or ecstasy for others, an indescribable wave for many others. Close to two hours and we were only just getting started. It was an emotional upheaval, one that resulted in an altered perspective of the idea of music for your humbled writer. They ended their set with a new song, dedicated to the audience there, which they called ‘New Delhi Skyline’, and we sauntered off soon after – reeling from an overwhelming experience is often underwhelming in the cruelest of ways. As for the specifics, the band is nominally a jazz band, a nine-piece one with each member moonlighting on multiple instruments. 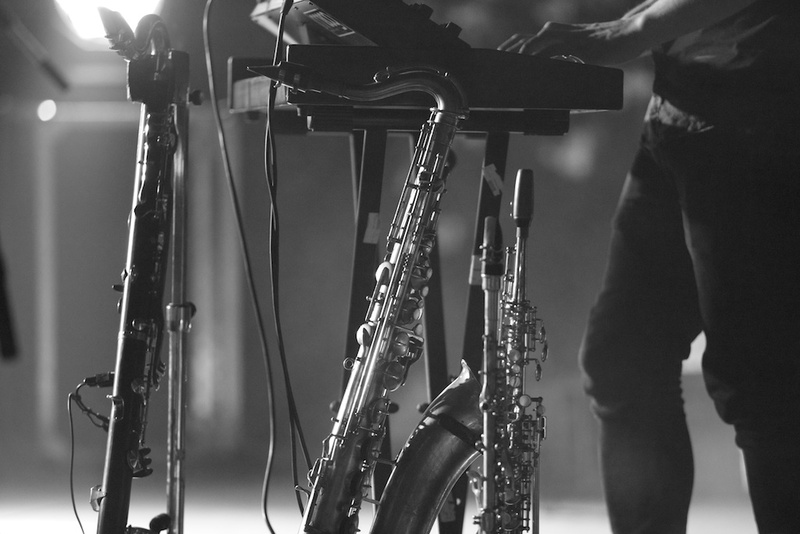 They have a tuba, a trombone, a trumpet, a saxophone, an upright bass and a regular one, a glockenspiel, three guitars, a hundred keyboards, electronic and acoustic drums, and so much more. They also have soul. It’s not the kind of jazz that you sit around and chat to, swilling fancy Scotch and devouring hors d’oeuvres like the bourgeoisie. I mean, you can do that too – no one’s stopping you – but their music is far more involved than that. It has moods and tempers; swings and waves form and disperse and noise and music coalesce and scuffle. It’s psychedelic, heavy, experimental, progressive, cinematic, theatrical, dramatic, ethereal. It gets dark often, sinister even, and just as often it offers melodic redemption and absolution. Irrespective of the atmosphere, each beat, each note, comes with its own unique shivering intensity. And they’re never afraid of experimenting; stretching passages beyond what would normally seem acceptable just to develop the tone of the piece into something grand, and successfully each time. Add to that the glorious venue and the biting Delhi cold, and you have a gig unlike most others. “Do you like music?” asked their drummer, Martin Horntveth, who was handling mic duties, interacting with the Delhi crowd. They also played ‘Prungen’, a couple of new songs, and, of course, ‘One-Armed Bandit’, which opened with an extended intro that segued into the song, building up a degree of tension that was released as soon as the opening lashes on the keys appeared. The thing with the band is, while all nine of them are suitably virtuosic and exquisitely skilled on all the instruments they play, at the end of the day, they’re not playing instruments, they’re playing music. They switch roles, they switch focus, they allow each other that all-important musical space, and never does the song suffer – crystal clarity settles in seamlessly with an understated showmanship and an acknowledgement of the fact that the music itself is powerful enough to grip an unsuspecting audience and trap them into a euphoric trance, and their appearance on stage and all the lights and peripherals and frills serve to accentuate the experience, not define it. Delhi’s Soul’d Out opened the evening. Really, they were part of the supporting cast on the night. They did an admirable job warming up the crowd, and there was some really interesting interplay between the bass and drums, and the guitar-saxophone tussles that featured heavily in their music were also a delight. They put up a solid display, and then Jaga Jazzist took over and did their thing. And then the night was over – all too soon – and all we could do was head back to our respective homes. It’s a shame I still don’t know what the correct pronunciation of Jaga Jazzist is. 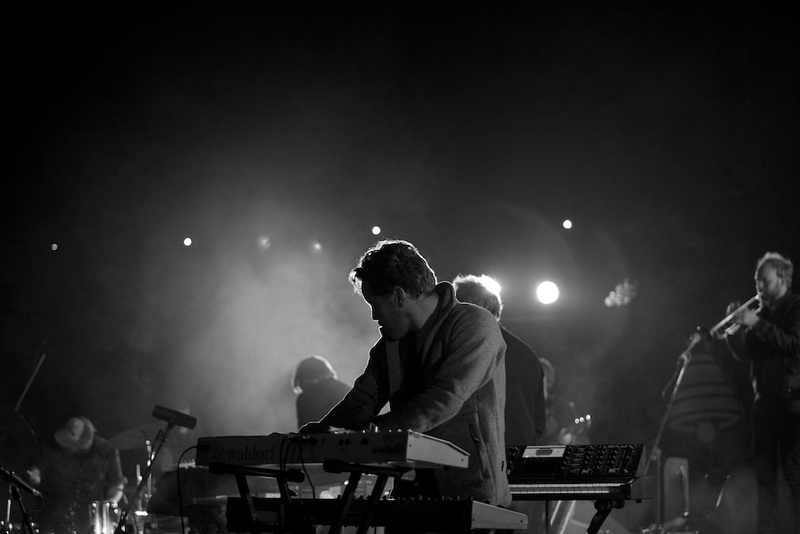 Disclosure: This gig by Jaga Jazzist at Zorba, New Delhi was organized by Rock Street Journal (RSJ).